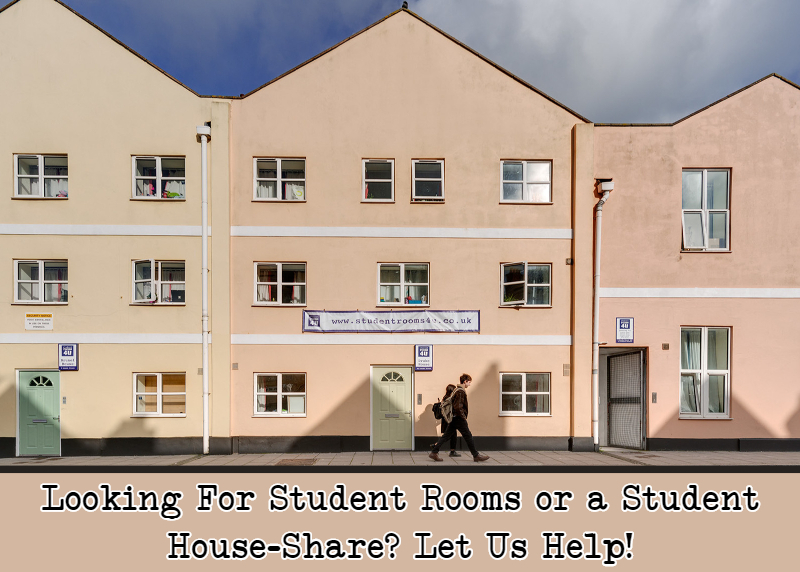 Looking For Student Rooms or a Student House-Share? Let Us Help! Posted on 7th March 2018 at 12:11 pm. Looking for a student house-share? Nervous moving in with people you don’t know? Let us help! At Student Rooms 4U we take care to match like minded individuals, ensuring we find student rooms or groups of rooms in our properties that work best for all those enquiring. 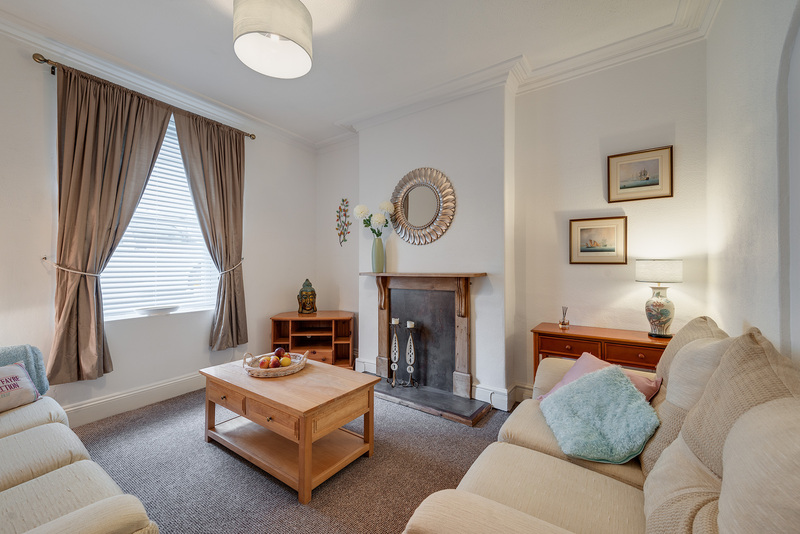 We currently have various rooms available to let across a range of six bedroom to fifteen bedroom homes, all less than 250m from Plymouth University and Plymouth College of Art. Our houses are rated A grade or ‘a quality property’ by Plymouth University, and we do not charge admin fees or deposits. Some of our larger student homes are arranged in floors or sections where smaller groups can share their own space. This often works well for lots of reasons; larger student houses usually have more added features e.g. TV packages, cleaners etc. and the individual letting rooms are usually cheaper, this arrangement also allows smaller groups of friends to be separate, but sociable. For example in our 15 bedroom house, 5 Marlborough Road, we have two available bedrooms together on the lower ground level, along with the lounge, kitchen and bathroom, perfect for two friends sharing. On other levels we have 3 letting rooms together in a contained, separate space in the house where friends can occupy. These rooms start from £85 per person, per week and include bills, UK’s fastest business broadband, Sky Movies and Sports, plasma TV with licence paid, and a weekly cleaner. Similarly in Armada House (also a 15 bedroom house) we currently have three student rooms for rent in the attached 4 bedroom flat-let which has it’s own bathroom and kitchenette, and shared use of the larger facilities in the main house. Tenants would be sharing with a lovely, bubbly girl studying primary education at Plymouth University and moving into her second year next year. How about a student room with a bit of character? Alternatively, for that something special, how about a roof top sun terrace with views towards the sea? This property has the added bonus of a hugely generous communal space: a new kitchen, utility and dining room, plus a separate lounge! What’s more, the remaining room at 3 Amity Place is only £92 per person, per wk! Our James Bond room to rent! With a remote control skylight that automatically closes when it rains, much fun will be had testing this one! The room at Cornwall House is £93 and includes bills, 350Mb broadband and flat screen TV with licence paid. Large en-suite room more your bag? If you’re after a beautiful student room in a character property complete with a bath, then this one’s for you! Hamilton House, Rm 4. Our staff know the all of our properties and letting rooms well. They are also familiar with the students who have committed to take rooms next year, so please do give them a call to discuss any concerns you may have. We even have an online student house matching service on our website! Always take a photo before unpacking, so when you check out in 11 months time, you will remember what furniture was in the room, and what state it should be returned to the landlord in! Make sure you put in writing immediately any concerns you have regarding the room upon taking occupation. This makes sure the points are raised formally, and that there is a paper trail for any issues raised. If you wish to put things up on the walls, use products like Command Strips to ensure there is no residue left on the walls that can be charged for when you move out. Test any alarms or fire detection facilities as soon as you take possession of the room to ensure your safety. For further information and available student rooms to let in Plymouth, please check our current availability or call us for an informal chat on 01752 849232.